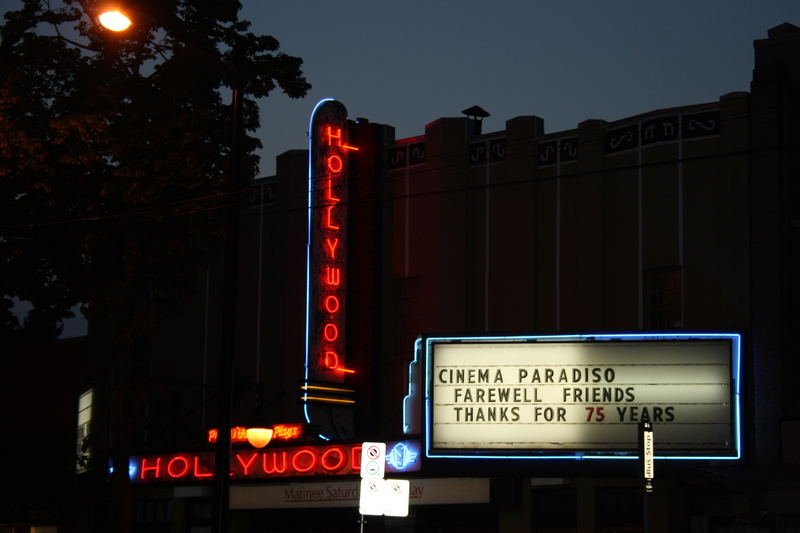 On the evening of May 29, 2011, I was at the Hollywood Theatre for their last double-bill showing. It was a bittersweet night with a huge attendance. The night not only marked the end of a Vancouver landmark as we know it but a family business too. Styles of movies changed and the theatre would face rivalries from television, pay-pre-view and VCR but the Hollywood continued success. Also in place even in present day were many things done back when it first started, like double-bills, taking straight cash at the ticket booth, and most importantly the Fairleigh family owning and operating the theatre. The closest thing to a big change was the start of the ‘odd double-bill’ back in 1990. This phenomenon started when My Left Foot and Rambo were aired one weekend. Some first thought it was a bad mix. It actually was a success because they attracted two completely different movie crowds that were both big in size. The ‘odd double-bill’ was kept up in many different versions in the years since. Over the years, I’ve taken a liking to the Hollywood Theatre. Just a fact about myself: when I first moved to Vancouver from Winnipeg in February 2000, I was just a casual moviegoer with a general interest in movies for someone at my age. Nothing big. But after I saw American Beauty just days after I arrived in Vancouver, that movie and that year’s Oscar race to go with it changed my life. Here’s some other excellent movies I saw over there: Mulholland Drive, City Of God, Downfall, Vera Drake, Lemony Snicket, Transamerica, American Gangster, Changeling, Tropic Thunder, Another Year, it’s just too hard to remember them all . Yeah, I saw a couple of bad ones and the odd guilty pleasure now and then too, but the Hollywood never let me down. The most unique ‘odd double-bill’ I went to had to be the pairing of Bridget Jones: The Age of Reason and Vera Drake. Two movies with a British female lead character: two completely different films of quality. The Hollywood was really convenient when it would show certain popcorn movies and ‘Oscar buzzers’ I always wanted to see but missed during its main theatre run. I’d always check the newspaper to see what the Hollywood was showing. I also remember leaving my second job, which ends at 9pm, to rush out and take buses to the Hollywood. Even if the movie ended before midnight or past midnight, I didn’t mind bussing back home that late. Hollywood also consists of a few movie-going milestones of mine which I’m quite proud of. The first is seeing City Of God in the spring of 2003 before most would later discover this gem on DVD. The second is A Serious Man the night before the 2009 Oscar nominations were announced. It’s an Oscar-time tradition of mine to see all five, or now ten, Best Picture nominees and seeing A Serious Man the night before the nominations were announced completed it for me right there and then! On Monday May 23rd, which is Victoria Day, I went to the Hollywood with my cousin to see Another Year. It had been months since I had been there. As much as I like the Hollywood, I like going when there’s a movie I like or a movie I want to see but haven’t. Such was the case that day. Before I entered the theatre, I learned from the ticket taker that they would be closing and that there would be a farewell party over the weekend. That was a shock to me as well as to her. 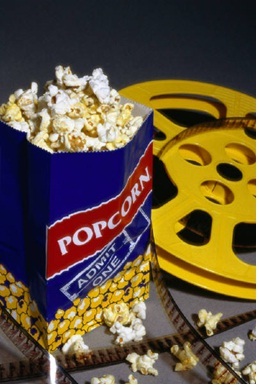 One of the reasons for the demise is because of the current difficulties of the single-screen neighborhood theatre. Nowadays if a movie theatre is to do well, it either has to be a multiscreen cinemaplex or connected to a shopping mall. In the past ten years, Vancouver has seen a lot of single screen theatres go and end up crushed for developers to construct something new. There’s the Varsity Theatre near the University of British Columbia that ended years ago and is now developed into condo land. There was recently the Van East which ended in January and has had its inside worked in for new development. Even triple theatres like the New West Theatre and multiplexes Langley’s Willowbrook cinema closed and were developed into something new. Some multiplexes like the Granville 7 constantly face threats of closure. 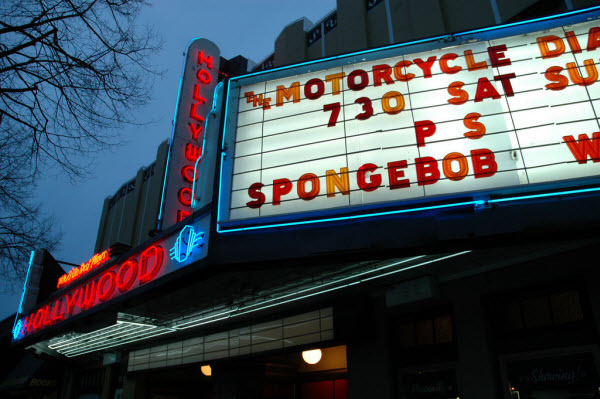 Currently there are only six single screen theatres in Vancouver; the independently owned Rio Theatre and Dunbar Cinema; the Festival Cinemas-owned Ridge and Park Theatres; and the organization-oriented Pacific Cinematheque and Vancity Theatre. Another reason for its demise over the years is now of the many ways one could see film and its current ability to be accessed at no cost on the internet. I don’t want to get into a tirade about how Napster and Netflix get people with a selfish sense they have a ‘right’ to free entertainment, but I will say that movie websites like Netflix has made it so easy and affordable for one to have all the online movies they want at a monthly rate, it’s not only hit theatres hard but video stores hard too. Plus so many ways to watch movies, especially those that happened in the last 10 years like Youtube, in your airline seat, on your smartphone and even on your wristwatch. Makes the original ‘other’ ways like television, pay TV and VCR seem old and tame. In the days before its closing weekend, I contemplated when to go to the farewell weekend. I was first thinking of Sunday only, then both Friday and Sunday. Also I was confused of what exactly was happening. What I heard at first, I interpreted that there would be a party going on in the theatre and that there would be a piano playing with all the movies silent. My mind does play tricks on me. When I returned on Thursday to take some pictures of the outside, I talked with the ticket-taker: Vince Fairleigh, the fourth generation Fairleigh to work at the Hollywood wo had been taking my tckets all these years. I told him I would miss it. Also in terms of the weekend festivities, I was left thinking of the same ‘party’ that I heard about on Monday. Alice giving tickets one last time. Friday the 27th came and I was to go with my friend to that ‘party’. 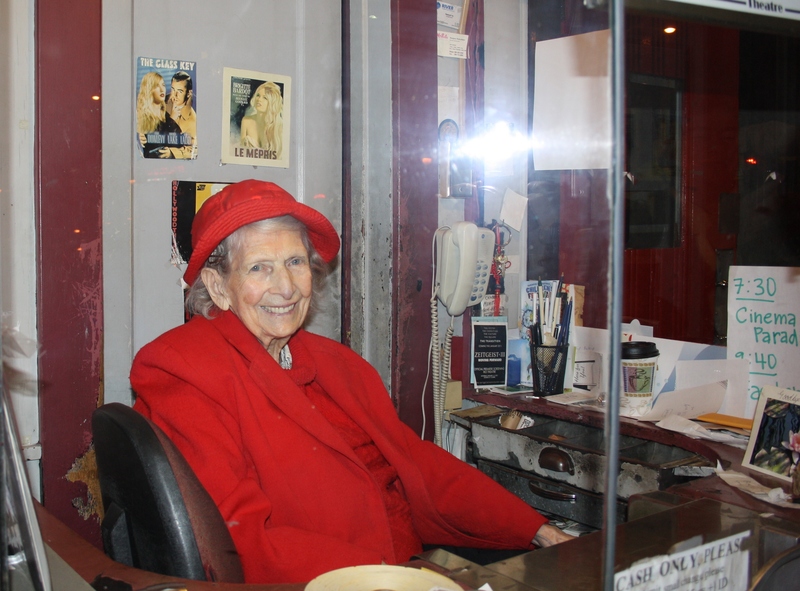 The ticket taker at the door was an elderly lady: grandmother Alice Fairleigh well into her nineties! By the time I got in, I saw the ending of Cinema Paradiso. It wasn’t exactly a party but a showing of movies with speeches. After Cinema Paradiso ended, there were some speeches from professional actor and family friend Mackenzie Gray and from David Fairleigh Jr., the last Fairleigh to run the Hollywood. He gave some words about what the theatre was like in the past, including the ‘treat your date’ etiquette. He also talked of the experience of watching the movie in a theatre and how the new modern ways like cellphone and wristwatch can’t compare. Then began the final feature of the ‘closing double-bill’ which I will refer to later in this article. As it began, I left to check out the balcony. As I was taking some pictures, I noticed the door to the projectionist room was open and with a guest. I went into the room as well. I met David Jr. and we talked more. I learned a lot about the theatre and of the projector they had. He said “I’m going to miss the place,” not looking for sympathy. Then I returned to my friend in the theatre, after being away for almost half an hour. When the movie ended, the curtain closed. I thought I’d probably see in close on Sunday for the last time. As I was leaving, I saw Alice in the ticket booth and took some photos of her. I left wondering how Sunday will be like. Sunday May 29th was a night of goodbyes but no one was going to shed a tear. 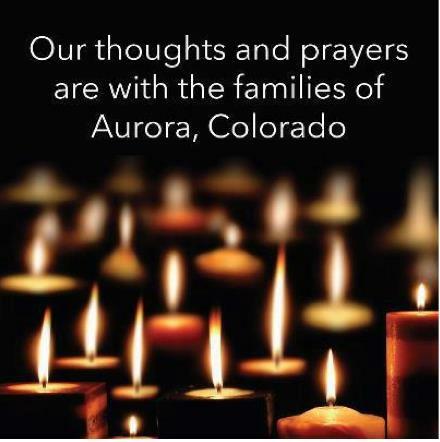 All the family was here: grandmother Alice, David Jr. and wife, and all the Fairleigh sons with their families. The theatre was near-packed for this night, the final night. The night began with some applause to individuals. Then there was something unique that hasn’t happened in many decades but happened all weekend: a silent movie accompanied by a pianist. The pianist was Johnathan Benny, award winning director and cinematographer and good friend of Vince’s. The silent movie was The Goat which Buster Keaton directed and starred in. Many would forget that’s what the Hollywood did back when it first started. Even though it opened while ‘talkies’ were just starting, there were silent movies showed then too. It was fun to see the old film again and hear the piano played at the time in the way it was done: playing accompanying the many humorous, bizarre, dramatic and romantic moments of the film. After The Goat ended, there were some speeches from family members like Alice, Vince and David Jr. David’s was notable because again he made the mention of the experience of watching a movie on a theatre. Despite that day being a bittersweet day, he sang the Charlie Chaplin song ‘Smile’. Then began the first of the final weekend’s double-bill Cinema Paradiso: a 1989 Italian film about Salvatore, a successful director, reminiscing about growing up in a smalltown’s theatre and learning projection running and filmmaking from the projectionist who just died. He returns to his hometown for the funeral and witnesses the Cinema Paradiso blown up. Vince picked the movie because the movie practically is what his life was all about: growing up in a movie theatre. The scene of when the grown Salvatore enters the dead Cinema Paradiso before it was blown up seemed almost synonymous with the Hollywood that weekend. At the end, the audience gave a huge applause. Mackenzie gave more thank yous but asked us to return to see the final movie of the night: Faster. I left for a break in the lobby, taking more pictures and talking to people, especially many of the Fairleigh family including Vince’s brothers. Then I returned to the theatre to see what would be the last movie shown at the Hollywood: Faster– an action movie about a revenge mission starring The Rock. It seems odd for the Hollywood Theatre to show Faster after Cinema Paradiso but the mix of two was ironically appropriate for the closing weekend because it was part of the ‘odd double-bill’ tradition. And a double-bill of Cinema Paradiso and Faster doesn’t get any odder than that. I didn’t care too much about Faster. In fact I found it like your typical action movie with heavy emphasis on the shootings and car chases and featuring wooden overdramatic acting. Nevertheless I wanted to be there for the Hollywood’s last minutes. As The Rock left the screen, he had the honor of being the last face to grace the Hollywood’s screen. After the credits finished rolling, the curtains didn’t close. Instead some people walked around the screen area and checked some of the rooms around the screen. I then went upstairs to the balcony and said goodbye to the Fairleighs and wished them the best of luck in the future and best of luck for the theatre. On the evening of Monday the 29th, the day after, I returned to the Hollywood. To my surprise, the neon lights were on. I saw the inside from the windows. Empty concessions, tables and chairs from the night, mop left out. Closings are never pretty. The future of the Theatre is a big question mark. I’ve been hearing a lot of tales about what will happen. Some say the developers want to either crush it or change it into something. I heard from others that Vince has partial ownership and that it will stay a theatre for at least five years. Despite all the talk of the possibilities for the Theatre, nothing was certain and closing weekend had to be treated like it was a goodbye. Since nothing’s really definite despite the fact I’m hoping for it to reopen, I took the closing weekend as that goodbye and I’ll let time decide what happens. I plan on bussing by at least once a week to see if there will be any changes and exactly what. I hope whatever they do, if the Theatre runs again, they keep the inside exactly as is. Many people on review websites have said that entering the theatre is like stepping back in time. How many present movie theatres do you know of that do that? I do hope for the best for the Fairleighs. I do hope for the best for the Hollywood Theatre. I do hope the new owners take good care of the Theatre. I do hope the younger generation learns to appreciate watching movies in a theatre. In fact I’m glad they aired Cinema Paradiso for the final weekend because it’s considered by many to be a ‘love letter’ to movies and movie lovers. Until then, thank you Hollywood Theatre for the memories and the experience.